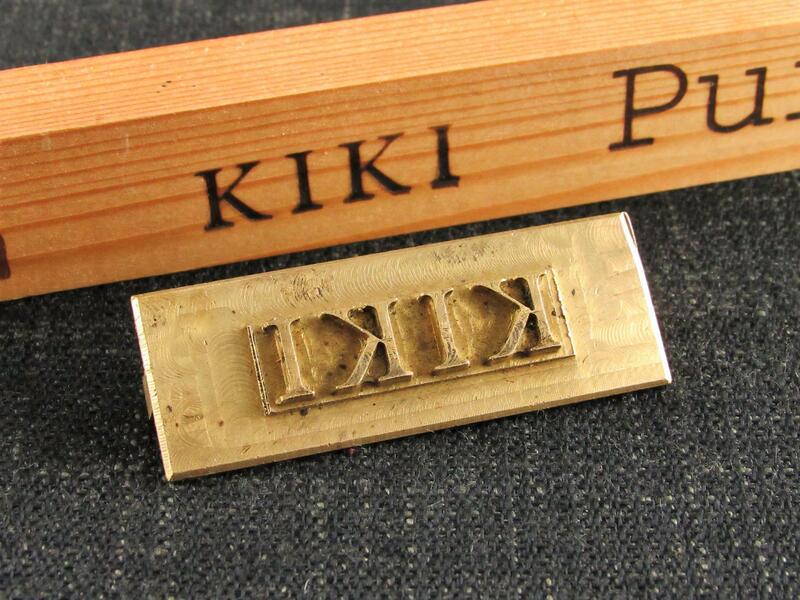 A group of 3 brass embossing stamps from a Norfolk shoe factory. 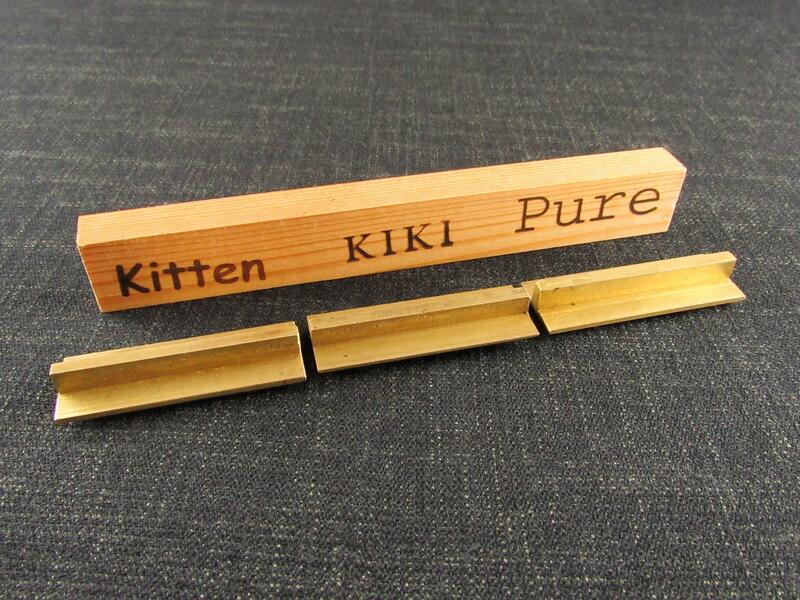 They produce the words Kitten, KIKI and Pure. 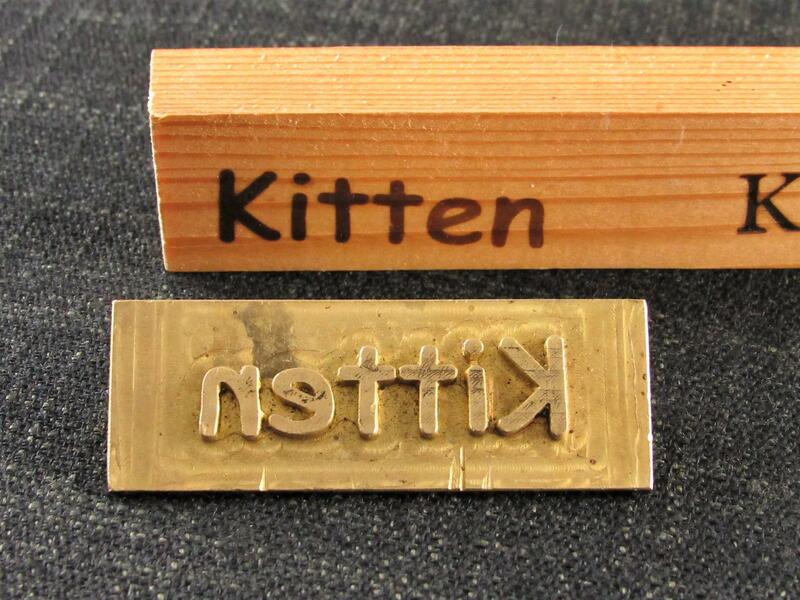 The Kitten stamp creates a mark 1/2 inch high by 17/8 inches in length. 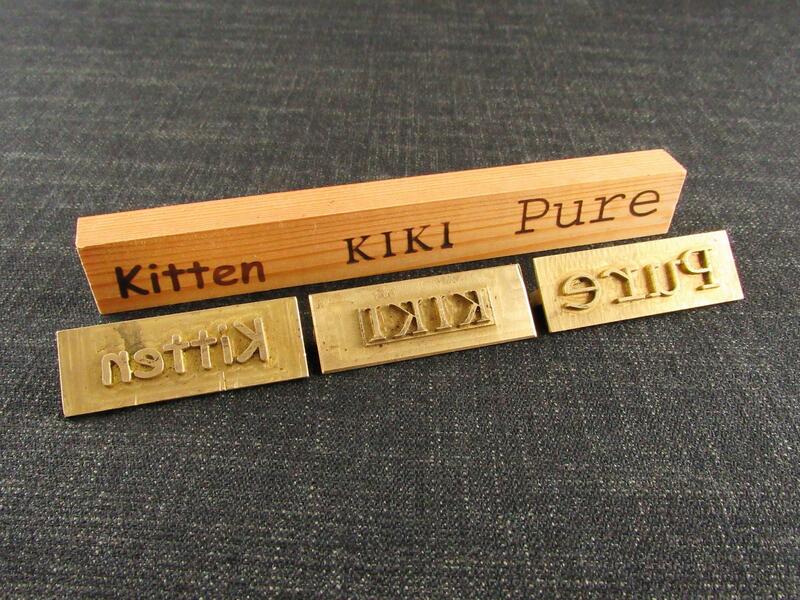 The KIKI stamp creates a mark 7/16 inch high by 19/16 inches in length. 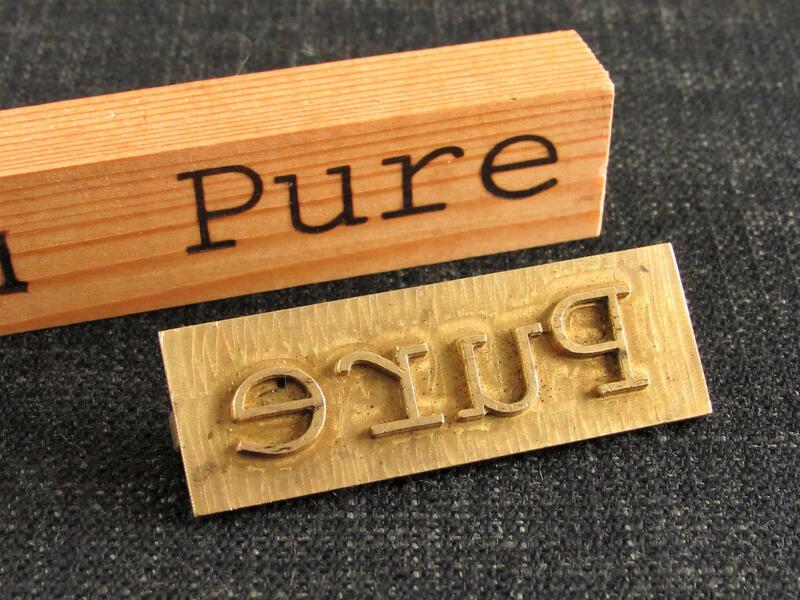 The Pure stamp creates a mark 5/8 inch high by 25/16 inches in length. If heated they can be used to 'brand' wood, leather etc. They may also be able to be used with ink although this has not been tested by us.